Last week, David Haye had to temporarily postpone his 29th of June comeback against Manuel Charr due to a hand injury. Team Hayemaker do hope this fight can be remade, but they are already planning a clash with the Mancunian Monster Tyson Fury before the year’s end. Although there is no clear indicator as to when exactly the fight will take place, there have also been promising words from Tyson’s uncle and trainer Peter Fury. Hopefully the business side of this fight is resolved with relative ease because a fight between these two will provide an engrossing contest for both members of the boxing fraternity and casual fans alike. Previously, Haye has fought cautiously against opponents of a similar stature to 6ft 9 traveler Fury. However, given Tyson’s recent performance against David’s fellow ex cruiserweight champion Steve Cunningham, it’s doubtful that Haye will fight in the same way he did against Klitschko or Valuev. As it stands, Tyson is an exceptional young talent. I applaud him for attempting to bring some excitement back to the predictable Heavyweight division. His thoroughly entertaining escapades that occur both in and outside the ring have been thoroughly enjoyable to watch. His brash comments at press conferences, his bizarre post-fight singing and most importantly his dramatic performances when fighting, have quickly made him a focal point of the Heavyweight division. Unfortunately though, I believe the rugged gypsy may have bitten off more than he can chew at this particular stage in his career. 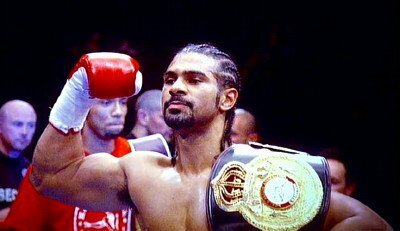 David Haye, is currently in his prime as a boxer and is quite visibly the more refined athlete. On many occasions, The Hayemaker has shown he is adept at executing a game plan and boxing to his strengths, whereas Fury is still very much a work in progress who at times lacks maturity in the ring. Yes, Tyson has made vast improvements since joining up with his Uncle Peter, but he still has that detrimental tendency to loose his head and go gung ho. Against an explosively punching calculated fighter like David Haye, this will prove disastrous and i envisage a stoppage victory for the South London fighter as the most likely consequence. Irrespective of that, this fight needs to happen, because as both camps have agreed, this has the potential makings of a classic.